It’s that time of year to look back and reminisce. Here’s us since we first opened back in 2009. We thought we’d share with you nkd’s 8 biggest, most interesting, notable milestones. Enjoy! Fast-forward 2 ½ years, and we were handpicked by retail giant House of Fraser to open a concession in one of their stores. Unfortunately, the only store they had available at that time was in Glasgow! Not to be deterred, we opened a glossy nkd in the ground-floor beauty hall of this prestigious shop, which is widely considered to be the “Harrods of Scotland”. Unfortunately, nkd ( ) Glasgow didn’t end up being a success for many reasons, but it was, at least, a valuable learning curve! Also in 2012, nkd was extremely proud and flattered to be named “Flagship UK Salon Group” for Perron Rigot waxes. When we first started nkd, we were determined to use the best and most advanced depilatory wax available in the world at that time, hence why we chose Perron Rigot. Owned by the French cosmetics house Thalgo and headquartered in Paris, Perron Rigot has almost 40 years’ expertise in depilatory waxing products and more than 20 patents to its name. So imagine our joy when we got made their flagship UK salon group! We now work extremely closely with Perron Rigot UK. They regularly give us new waxes to trial and we run training courses on their behalf. We also carry out their live waxing demos for them on stage each year at the country’s largest beauty trade shows. Still in 2012 (blimey it was a busy year! ), and we opened nkd ( ) the waxing school in a huge training room above our old Bridlesmith Walk salon. From here, we started to teach other beauty therapists and salon owners from the UK the art of advanced waxing. We’ve also run courses from other cities, including Manchester, London and Glasgow. Perron Rigot endorses nkd ( ) the waxing school and we regularly run courses for Perron in London. Jumping forward two years to 2014, and we were thrilled to receive some fantastic awards and accolades. First, we were shortlisted as one of Nottingham’s Top 15 Favourite Independent Businesses, which was especially lovely as so many of our lovely clients had voted for us. Second, we were named as “Small Business of the Year” within the Nottingham Evening Post Women in Business Awards, which gained us loads of highly positive press and recognition. It was in 2015 that our exciting move to our current Nottingham home of 27 Pelham Street took place. The move from our old Bridlesmith Walk location was driven predominantly by a need for more space, but there was also a feeling that nkd had outgrown its start-up premises in other ways too, and was ready for a step up. And what a step up it was – spanning three floors plus a basement, the new premises has many steps, as our therapists will testify to! 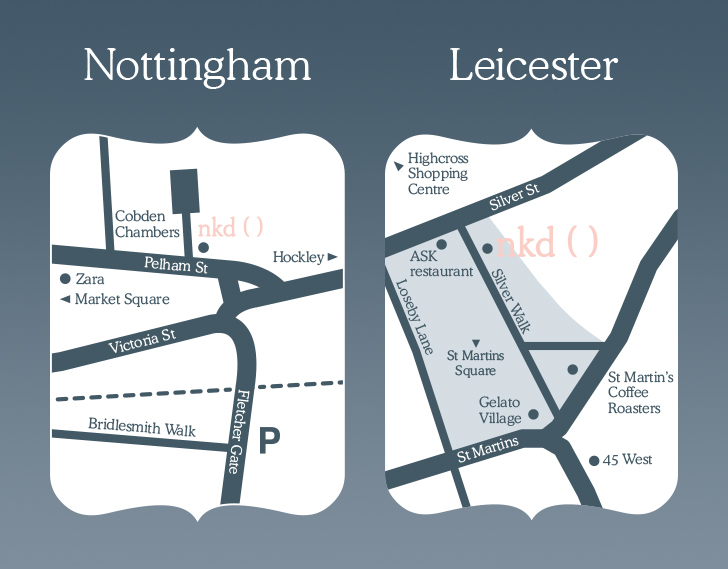 Milestone 8 – Launch of Leicester: So last but not least, and arguably our biggest milestone to date, is the launch of nkd ( ) Leicester! 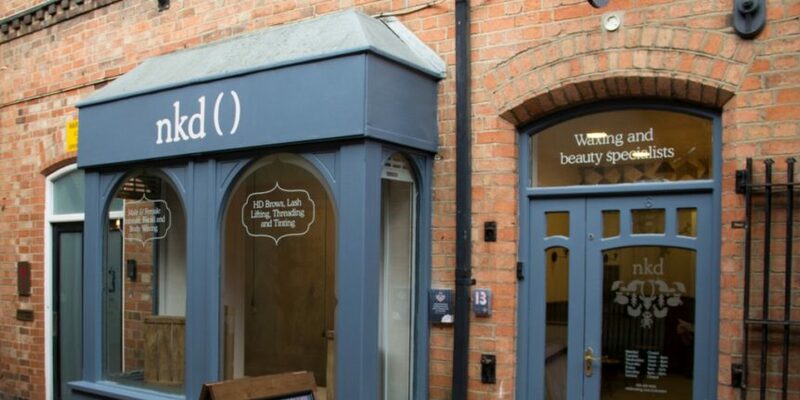 We’re so excited to have a beautiful new salon in the heart of the bustling and vibrant city centre that is Leicester, we love it! Who knows what will happen over the next few years eh…. Watch this space!